Besides using these treatments, you should also reduce the use of heat appliances that can damage your hair to prevent split ends. Split ends occur as a result of the aggression caused by sun exposure, dehydration, and regular use of heat appliances. These factors, in addition to excess chemical products, diminish the hair’s nutrients and make it look dull and lifeless. To fix this, you can go to the hairdresser to cut your split ends. However, you can also turn to alternative treatments to restore them. Although these methods take a little longer to yield results, using them regularly is a healthy way to counteract the damage without resorting to drastic measures like cutting your hair. The most interesting thing is that many recipes can be prepared at home. These recipes combine natural ingredients that are often widely available. In this article, we explain the 5 best ones so you can prepare them if you notice split ends in your hair. 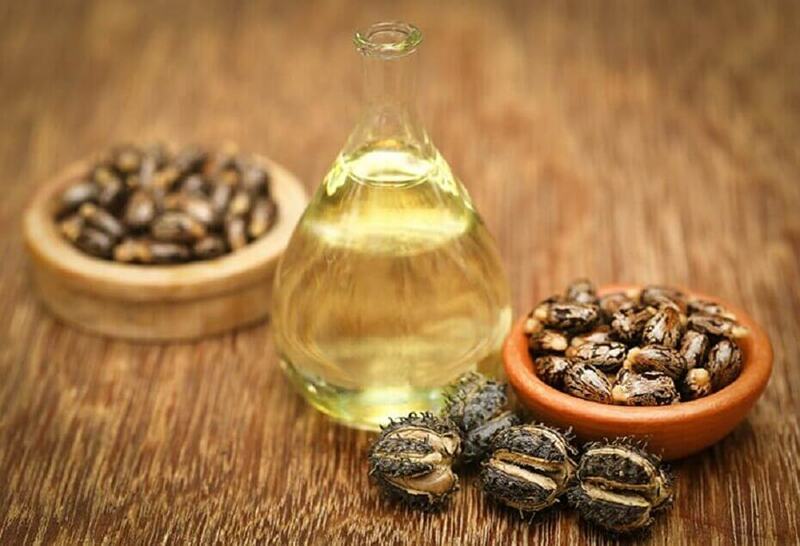 The moisturizing and regenerative properties of castor oil and mustard help repair damaged hair strands, sealing and moisturizing dry and brittle ends. Their significant vitamin E contents minimize the negative impact of dehydration and free radicals. This means that they help maintain strong and shiny hair. See also: Why Is My Hair Falling Out? Pour the castor oil in a bowl and mix with the mustard oil. Stir the ingredients until well mixed and, if you like, combine them with a tablespoon of olive oil. Rub the hair treatment on the damaged ends until you coat them completely. Leave on for 40 minutes and then rinse. Repeat every day for at least 3 weeks. By combining ingredients such as egg, orange, and banana, you can get a 100% natural conditioner. After applying it to your hair, it regenerates damaged strands and relieves excessive dryness. Its concentration of essential nutrients revitalizes dull hair and helps reduce hair loss. Whisk two eggs and mix with the juice of an orange and one previously crushed ripe banana. Rub the cream all over your hair, focusing on your split ends. Leave on for 30 minutes and then rinse. This moisturizing and revitalizing hair treatment helps seal brittle and dry ends and makes hair look shiny and healthy. Its ingredients provide fatty acids, vitamin E, and amino acids that help counteract the damage to your hair. 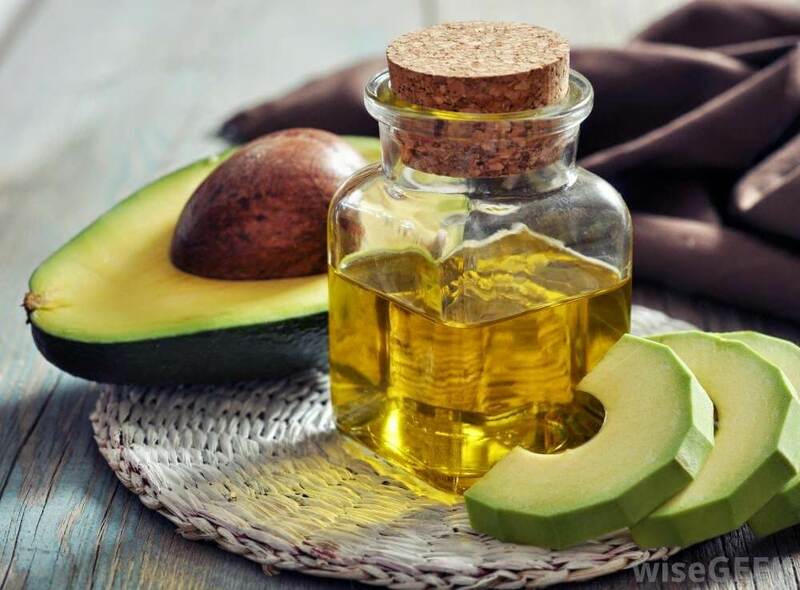 Crush the pulp of a ripe avocado and mix with the argan oil. Rub the hair treatment on your ends and leave on for 40 minutes. Rinse with cold water and repeat 3 times a week. By combining the enzymes and antioxidants of papaya with the fatty acids of coconut oil, we can get a moisturizer and conditioner that’s ideal for restoring damaged or burned ends. 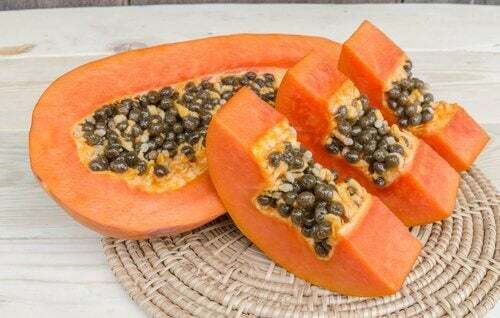 Crush the ripe papaya slices and mix them with coconut oil. Apply a large amount of the treatment from the mid-lengths to the ends. You can prepare your own capillary butter to hydrate and repair your dry ends. It contains significant amounts of vitamin E, fatty acids, and antioxidants which regenerate damaged hair, leaving it shiny and strong. Pour the cocoa butter in a casserole pot and melt in a bain marie. Once melted, add the apple vinegar and lemon juice. Mix everything with a wooden utensil and remove from heat. Let stand at room temperature until it solidifies. Take a small amount of the hair treatment and apply it to the ends. Use every day for at least 3 weeks. If your ends are split and dehydrated, you should prepare any of these hair treatments to restore them with natural ingredients. Within days, you’ll begin to notice how they improve their appearance and how they make your hair look shiny.